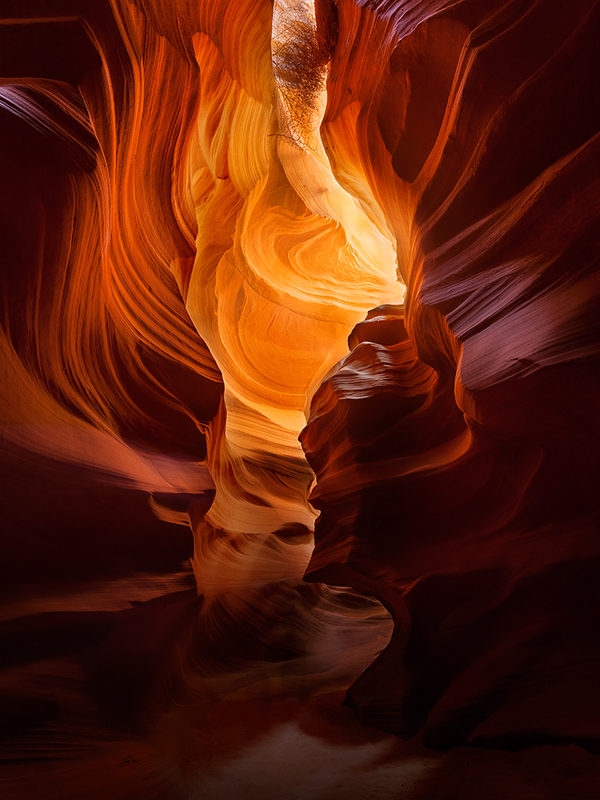 Photographing Antelope Canyon is an experience I will never forget. Driving across Arizona I felt like a kid at Christmas. I was so excited to witness the magical glow found in these slot canyons. This photograph was made in Upper Antelope Canyon. I was primarily photographing the light beams that this canyon is known for, however this composition could not be passed up! Secure your limited edition, Antelope Canyon photographic print, 'The Glow', by selecting your desired print size in the menu to the right.